Every story has its beginning and the start of the Way of St. James is intrinsically linked to the North of Spain. This itinerary, lined with more than 1800 religious and civil buildings of historic interest is known as the Northern Way, and includes various routes. The most well-known are the Primitive Way and the Coastal Way, along the Cantabrian coastline,, but others attract our attention for their equally valuable differences: Baztán’s Way in Navarre; the Basque interior route; and the Liébana Route. In total over 1.100 kilometres running through Euskadi, Navarre, la Rioja, Cantabria , the Principality of Asurias and Galicia. The Primitive Way for pilgrimages to Compostela is the first Jacobean itinerary. Its two routes, both the former and the coastal route were, for over a century, the only Way Of St.James that existed. An important part of this European cultural initiative is to be found in Cantabria where the Coastal Way links with the French Way through the Liébana Route. This made a great impression on the identity of Cantabria throughout centuries, as a bearer of the most important cultural values of medieval Europe. 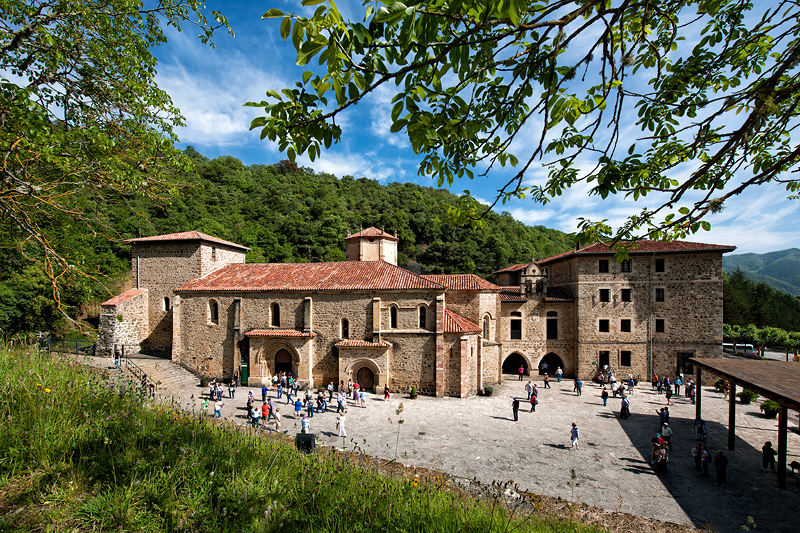 The passage of the pilgrims through Cantabria , coinciding with a whole set of construction work, opened up other routes for visitors to Holy Relics in other locations in the area. The natural setting of this enclave on the route in the Picos de Europa National Park is of undoubted beauty and scenic value. The Liébana Route is a real paradise for lovers of nature and hill-walking. The route combines culture, sport, nature and mysticism , epitomising what Cantabria is, from its shores to its mountains.